Noh Oni Mask Shadow Box – 1 of 6 Limited Edition There are 18 Reviews. 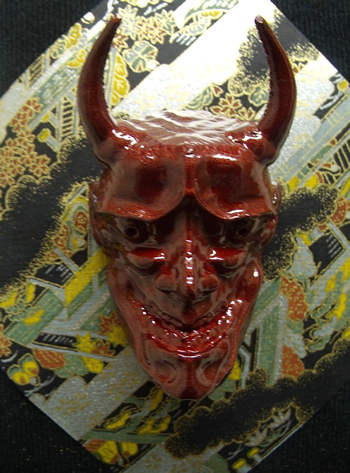 Oni (鬼) are creatures from Japanese folklore, variously translated as demons, devils, ogres or trolls. They are popular characters in Japanese art, literature and theater. The Hannya (般若) mask is a mask used in Japanese Noh theater, and portrays the souls of women who have become demons due to obsession or jealousy.